Introducing new initiatives a new group Kala Nagri Cultural Foundation has announced their entry in the field and schedule to organise Vadodara Kala Nagri Garb Mahotsav 2018 at Navlakhi Ground between 10th to18th October 2018. The Garba nights will be combination of multiple activities like viewer’s pavilion, extravaganza food court and others. 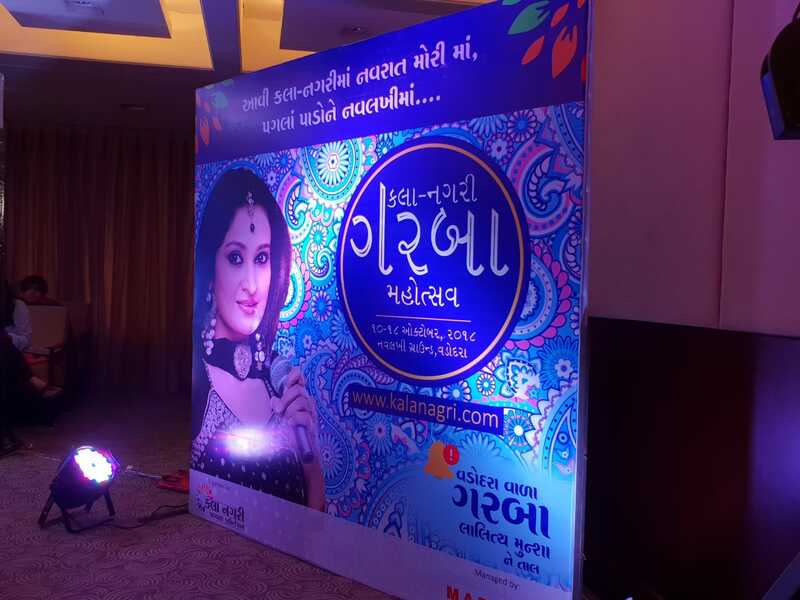 Versatile and iconic Gujarati playback singer Lalitya Munshaw and her band with 30 co-singers & musicians will be performing live at this Grand Garba on the traditional musical tracks of Vadodara. 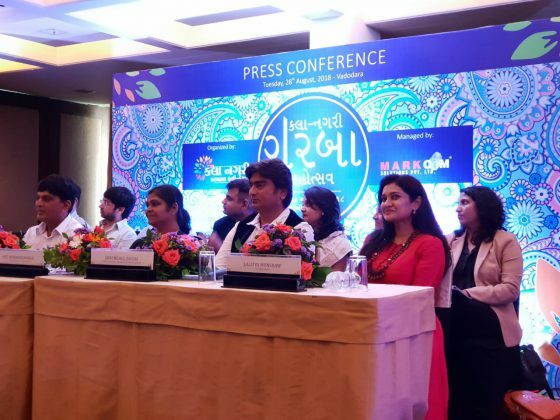 “The Garba will be the first and unique in many ways having many attractions for hassle free enjoyment for the revellers. RFID based entry system for quick and fast entry, dust-free parking facility, most extensive and exclusive food court, separate zone for kids and kids Garba, First time ever touch up services for girls free of cost at the venue,” said Mehul Zaveri General Secretary of KNCF. He further said Kala Nagri Garba Mahotsav will also have many other inimitable engagement activities like lots of selfie zones, a unique theme pavilion on the theme of Culture, Lifestyle, Traditions, History, Festivals & Personalities of Vadodara and showcases the Glorious Cultural Glory of Vadodara. The Garba will have many sub-events & activities for kids during evening time including exclusive Garba for Children. The organisers also eyeing Limca Book of Records for maximum number of players on the ground. The registration for the Garba lovers will be available online on www.kalanagri.com. It’s extremely user-friendly ticket booking module where participant can do registration in less than 10 minutes. The foundation is offering privilege offer to Vadodara where participant can go online to book their season pass and can avail early bird discount till 5th of October 2018. It’s a limited period offer. 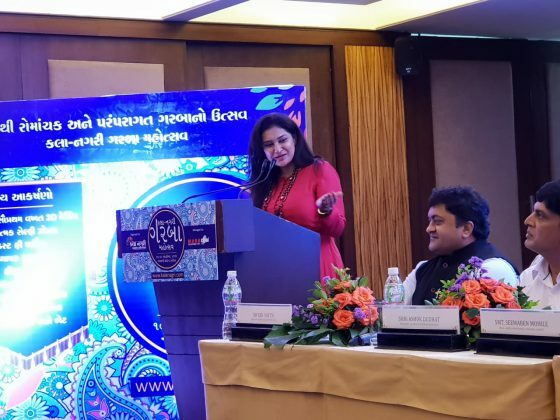 “The funds will be used for various welfare and development activities of Vadodara as well as for the relief of Kerala floods through Prime Minister’s National Relief Fund. 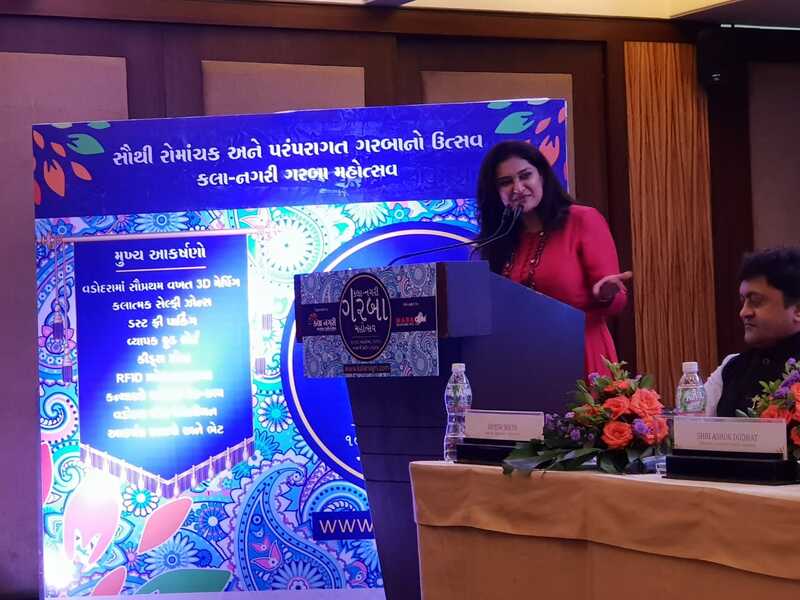 It will also be used under Beti Bachao Beti Padhao (BBBP) scheme and to carry out extensive campaign in Vadodara for Plastic Hatao, Paryavaran Bachao campaign.” Said by the Mentor of this Garba Mahotsav Seema Mohile also MLA of Akota Constituency. Where is your kalanagari office? Is there daily basis playing pass facility available?? Girls nu refund kyare malse,refund form online kam na rakhyu?